Two-stone engagements rings are having a moment so whether your style is minimal, vintage or elegantly classic, this trend will surely have an option for you. Especially if you choose to customise or completely design your ring from scratch with our easy bespoke engagement ring design service.Ready to take the two stone plunge? Scroll down to see our favourite options for two stone engagement rings. Floral inspired and dainty, this rings is for the romantic brides out there. 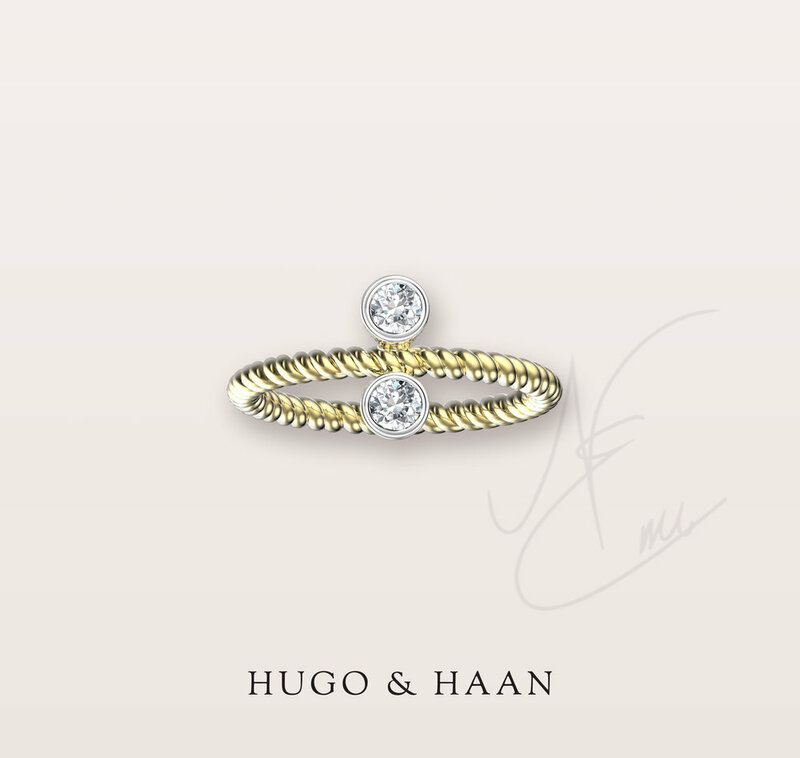 This mini oval two stone open ring is an amazing way to incorporate a few diamonds into your everyday life.